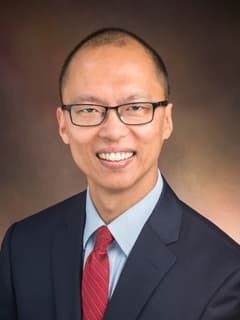 Khoi Dang, MD, is a Pediatrician at CHOP Primary Care, South Philadelphia, a CHOP Care Network pediatric and adolescent care practice. Khoi Dang, MD, earned a Bachelor of Science degree, with Honors from Brown University. He received his medical degree from Temple University School of Medicine and completed a pediatric internship and residency at St. Christopher's Hospital for Children in Philadelphia. Dr. Dang practiced general pediatrics in private practice before rejoining the faculty of St. Christopher's Hospital for Children as assistant professor of Pediatrics at the Drexel University College of Medicine in 2004. He then joined The Children's Hospital of Philadelphia faculty as attending physician in 2009 and serves as co-director of the Refugee Health Program since its inception. Being a former refugee himself, his natural interest in refugee and immigrant issues peaked after learning of a need for pediatric refugee health providers in Philadelphia and an institutional opportunity to help begin this program. Dr. Dang is devoted to improving access to pediatric care to the underserved and combining that with medical student and resident education, mentoring future pediatricians, and continuing his work in refugee health.